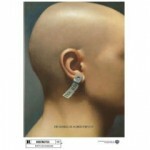 THX 1138 directed by George Lucas looked surprisingly well in high-definition (HD) on Friday night. The 1971 science fiction film was the first feature-length film directed by George Lucas. Now considered by some to be a “cult classic,” it was remastered and released on DVD in 2004. HDNet presented the film in letterbox format to preserve the 2.40:1 aspect ratio. THX 1138 is played by a young Robert Duval, who shaved his head and wore a white jumpsuit throughout the film. The story depicts an underground society were people’s emotions are controlled by drugs. A worker on a nuclear production line, THX 1138 breaks the laws of the society by becoming sexually involved with roommate LUH 3417 played by Maggie McOmie. The film is a feature length remake of the original student film made by Lucas called Electronic Labyrinth: THX 1138 4EB. The graphics (some of them recreated and added) and cinematography (by David Myers) really stand out in the high-def version of THX 1138. In some shots you can still see film grain and imperfections, which to me don’t hurt the film but rather just date it a bit. This is a 70’s film that still has a 70’s feel, and it should stay that way. One would ask if a Blu-ray version of THX 1138 will be announced. And, if a Blu-ray version is released will it contain all the extras and features the Director’s Cut (Two-Disc Special Edition) contained? My guess is there will be an announcement for a holiday release of the film, but that’s purely speculation. American Graffiti (a great film) would be a good test of high def quality because the film is pretty dark. The night scenes would be an especially good test of how much a broadcaster compresses – you would expect the blacks to get crunched. Since you mentioned the visible grain, it’s worth noting that THX 1138 was grainier than most ’70s films. It was shot in Techniscope, a low-budget widescreen format that used only half the normal amount of 35mm film, and had to be blown up for theatrical release. Other notable films shot in Techniscope include The Good, the Bad, and the Ugly, King of Hearts, and Lucas’ next film, American Graffiti.